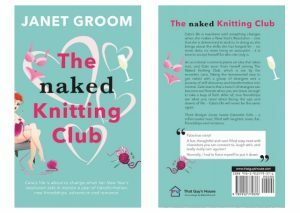 The Naked Knitting Club book is about transformation, personal growth and friendships. Cate, a lively and curvaceous redhead, embarks on a journey of self-discovery after making the commitment to herself to change her life. She take a huge step out of her comfort zone to join an eclectic band of naked knitters, in an effort to learn to accept her body and herself for who she really is. This sets her on a road to setting herself free from endless diets and low self-esteem. 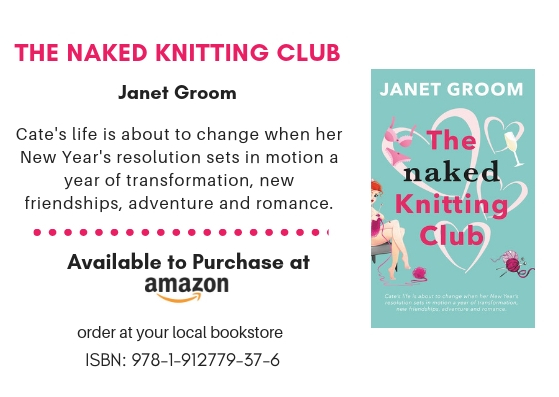 Her fellow naked knitters soon become her family and she learns the true meaning of friendship. Sometimes true friendship is not always were you expect it, and this is certainly true for Cate when she faces a major life challenge, and through the bonds that develop, she learns to take a different view on many aspects of life. A lighthearted book, about changing your life, and facing life challenges with friends to support you – all wrapped up in humour, with a splash of romance. If you enjoyed the Bridget Jones books and Calendar Girls … then this is a book for you!